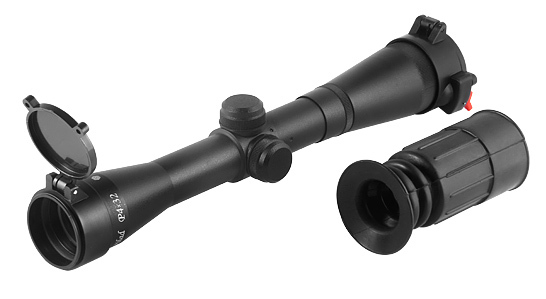 The scope with constant magnification is used for target acquisition while small arms shooting with cartridges of various caliber. The fourfold magnification allows using this scope not only in the open territory, but also in the forest. The scope is shock proof owing to its proved design. The scope is also water and dust proof. The lens is equipped with a flip top flap cover. It is easily installed on the majority of modern Russian guns and carbines. It is reliable, compact and easy. The sight bears fluctuations of temperature from -40 up to +50°.